White Plains, NY, February 22, 2018 – The National Action Council for Minorities in Engineering is proud to announce the selection of Michele Lezama as president and chief executive officer, effective March 26, 2018. Michele served as the CEO and executive director of The National GEM Consortium (GEM). GEM is dedicated to increasing the number of underrepresented individuals who pursue and receive a masters or PhD in engineering, computer science and other applied science fields. During her tenure at GEM, she strategically positioned the consortium for advancement by moving their headquarters from its 30-year home in Indiana to the Washington, DC metropolitan area. Prior to GEM, Michele served as executive director of the National Society of Black Engineers (NSBE). NSBE’s mission is to increase the number of culturally responsible black engineers who excel academically, succeed professionally and positively impact the community. She is credited for turning around the organization’s financial position, tripling the organization’s capital position and creating a long-term investment structure. Under her leadership, NSBE received a Presidential Award for Excellence in Science, Mathematics and Engineering Mentoring awarded by the White House Office of Science and Technology. “NACME is delighted to have Michele join the organization as president and CEO,” said Ray Dempsey, NACME board chairman. “Her transformational leadership style and history of dedication and support of access to education for underrepresented minorities, is a great fit for NACME”. Michele earned her B.S. in Industrial Engineering at Northeastern University, and both her M.S. in Industrial Engineering and MBA in Finance and Accounting from Columbia University. “I am honored and humbled to have been selected as NACME’s President and CEO,” Lezama said. “As a proud NACME Scholar Alum, I am excited to work with the NACME team to dramatically increase the number of high performing students who gain access to our nation’s most rigorous engineering and computer science undergraduate programs, to deliver exceptional outcomes for our university and corporate partners and to actively showcase the opportunities and successes of our nation’s diverse STEM community”. 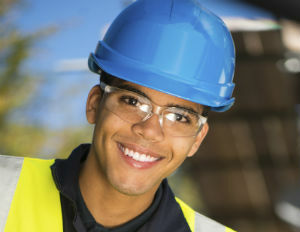 The National Action Council for Minorities in Engineering supports high-performing African American, American Indian, and Latino engineering and computer science students, from college-to-career. NACME is nurturing the next generation of diverse leaders. Motivated by the staggeringly low number of minorities in STEM programs and professions, minority leaders, business executives, the academic community, and corporations came together in the early 1970s to create four unaffiliated organizations to address this issue. However, it wasn’t until several years later when these groups merged to form the National Action Council for Minorities in Engineering (NACME), that real change began. “NACME … was charted to conduct research, identify the impediments limiting access to careers in engineering, and implement programs to achieve a technical workforce that’s truly reflective of the American population,” says NACME President and CEO Irving Pressley McPhail, EdD. And since the organization’s founding, underrepresented minorities in engineering have increased from 2 to 12 percent. NACME’s ability to help reduce this disparity is due to its multifaceted approach, says Christopher Smith, PhD, the organization’s director of scholarships, university relations, and research. To overcome barriers and increase access to the profession, NACME focuses on three key areas: scholarship programs, an online career center, and data collection. For more than 40 years, NACME has awarded scholarships to African American, American Indian, and Latino students seeking degrees in engineering. Through its NACME Scholars Program, it allocates block grants to U.S. colleges and universities — partners of NACME — that distribute the money as scholarships to talented underrepresented minority students. NACME also provides scholarships directly to students via several fellowship awards. Since its founding, the organization has awarded more than $150 million in scholarship and program support to 24,000 underrepresented minority students. Smith says scholarships are key to easing students’ stress and debt load, helping keep them on the path to success. Much of the data NACME has collected has shown striking differences between NACME scholars and other students. According to McPhail, a study of six-year graduation rates of NACME scholars revealed a rate of 79.1 percent. “That 79.1 percent compares to 39 percent for all other minority students majoring in engineering, and it compares to 62 percent for [non-minority] students, so you’re talking about a level of accomplishment that exponentially exceeds the norm,” says McPhail. Beyond education, NACME works to connect its scholars to summer internships and full-time jobs. While increasing minority participation in engineering remains NACME’s central objective, the motivation driving that goal has expanded over time. Alexandra Vollman is the editor of INSIGHT Into Diversity. NACME, the National Action Council for Minorities in Engineering, has been supporting engineering students of color since 1979, thanks to its generous corporate partners. BE Smart recently sat down with Irving Pressley McPhail, Ed.D., NACME’s CEO and president, to talk about the organization’s work providing scholarship support to underrepresented students, and its new strategic direction. How does NACME support underrepresented engineering students? NACME is the largest private provider of scholarship support for underrepresented minority students pursuing bachelor’s degrees in engineering. We define “underrepresented” as African American, Latino, and American Indian/Alaska Native women and men. Because of our corporate partners, NACME can support the production of talented minority students in engineering, and our corporate partners benefit by bringing extremely talented young people into their companies. What has been NACME’s overall strategy? The contributions from our global engineering companies allowed us to support activities and accomplishments across those four areas, with the primary focus being scholarship support for our NACME scholars. Our new strategic plan is Connectivity 2020, which embraces slight changes in direction based on our experience as well as the needs of the nation and the needs of our companies. Our new plan includes the theme College to Career. We’re adding the career focus to more aggressively connect our scholars to our corporate partners for internships and full-time hires. So the core business of NACME today has been redefined as scholarship support and career development—internships and full-time hires. These represent the areas where NACME is pursuing direct engagement. Is there an area of indirect engagement? The second part of the strategy is our community partnership model, which involves our indirect engagement. In this, NACME forges partnerships and collaborates with like-minded organizations to drive the pipeline—the pathway of preparation from K-12—as well as to influence the national discussion on U.S. competitiveness and where diversity and inclusion fits in. NACME isn’t driving the agenda but contributing to its support. Given the resources available to NACME, the complexity of the K-12 STEM education issues, our board and management determined that NACME could be more effective as a major partner as opposed to a prime mover in the policy and K-12 space. NACME can best use its resources from corporate partners to drive the scholarship program and connect NACME scholars to internships and full-time hires at companies. Early education, parenting, and industry support: More than 500 children and parents, mostly from African American and Latin American communities in the Chicago area, attended the 2015 ChiS&E orientation at the University of Illinois-Chicago. Experts from National Action Council for Minorities in Engineering (NACME) and University of Illinois at Urbana Champaign College of Engineering offered advice about science, technology, engineering, and mathematics (STEM) education. See three STEM tips for parents and for engineers. The Chicago Pre-College Science & Engineering Program (ChiS&E) held its fall 2015 orientation session at the University of Illinois-Chicago on Sept. 19. More than 500 children and parents, mostly from African American and Latin American communities in the Chicago area, attended the event. The keynote speaker, Dr. Irving Pressley McPhail, president and CEO of the National Action Council for Minorities in Engineering (NACME) presented critical statistics about the racial gap in STEM education and encouraged attendees to start STEM education early. Founded by Kenneth Hill in 2008, Chicago's ChiS&E has been providing inner city children and their parents from underrepresented communities the rare opportunity of engaging in hands-on science, technology, engineering, and mathematics (STEM) education. During his speech at the orientation, Dr. McPhail showed research data from NACME and identified the following facts to stress the importance of moving more underrepresented minority students into the STEM field. Underrepresented minorities in STEM are three groups that have the lowest representation in the engineering education and the engineering workforce. These three groups are: African Americans, Latinos, and American Indians. By 2050, there will no longer be a majority race. The diversifying U.S. population makes it clear that the key to America's future global competitiveness in STEM is engaging underrepresented populations at all stages of the educational pathway. Currently, there is a relatively low representation of underrepresented minorities in the STEM fields. African Americans make up 13.2% of the U.S. population. Despite a representative sample of African Americans seen in other degree programs, they are exceedingly underrepresented in engineering. African Americans only represent 4% of engineering bachelor's degree recipients, 3.6% of the engineering workforce, and 2.6% of engineering faculty. American Indians and Alaskan Natives are not prevalent in engineering. Although they make up 1.2% of the total population, they represent only 0.4% of all engineering bachelor's degree recipients, 0.3% of the engineering workforce, and 0.1% of all engineering faculty. Latinos are the fastest growing ethnic group in the country. Currently, they represent 17.5% of the overall population and are expected to represent close to 27% of the population by 2050. Their representation in engineering, however, is not increasing proportionately. They constitute 9.0% of engineering bachelor's degree recipients, 6.3% of the engineering workforce, and 3.7% of engineering faculty. SAT scores for Illinois residents are much higher on average than the SAT scores of students in other locations. The average SAT score for Illinois residents is 616, compared to the national average of 513. However, the racial divide remains, as African American students score 95 points below their white peers and 137 points below their Asian peers. To move more underrepresented minority students into the STEM field, Dr. McPhail stressed that early intervention efforts are needed to close the achievement gap. Early education and parenting are two key components of the early intervention. ChiS&E provides early education to students from these groups. With free science and engineering workshops for students and their parents in grades K-3 to K-12, ChiS&E is developing and implementing family engagement programs in the field of early childhood education. To add another important subject in the STEM field, physics, to the ChiS&E program, ChiS&E partnered with the University of Illinois at Urbana Champaign and Chicago Public Schools to create the new physics program for 7th grade students. Dr. Kevin Pitts, associate dean of undergraduate programs and professor of physics at University of Illinois at Urbana Champaign College of Engineering, presented after Dr. McPhail to introduce the new program and inspired attendees to pursue STEM and see the fun side of physics. Be role models: Parents should introduce students to the STEM fields and cultivate student interest. Make STEM relatable: Video games, music, computers, cell phones, and automobiles are created by engineers. Encourage children to participate in extracurricular activities like clubs, field trips, after-school programs, and science research competitions. During an interview with CFE Media, Dr. McPhail presented three ways that working engineers and the industry can help support the development of underrepresented minorities' talent in the engineering field. Reach out to the K-12 sector, actively engage the students and parents to raise awareness about STEM education, present engineering as a viable career choice, emphasize the excitement of innovation, serve as role models for young people, and provide infrastructure and tools to students via schools. Companies can provide scholarship support for underrepresented minority students to enroll in and to excel in engineering education. So far, NACME has provided over $142 million in support to over 24,000 engineering students over 41 years. A large portion of the scholarship came from 32 companies that are a part of the NACME board of directors. Companies can also be effective in providing internship opportunities. Internships will provide students with practical experiences and networking opportunities that can then lead to future hiring opportunities upon their graduation. The 2013-14 graduating NACME Scholars reported on 160 internship and co-op experiences at 118 companies, which represented industry, government, and higher education. "The corporate sector is key, and practicing engineers are key. Their volunteerism and engagement can help move the needle in unrepresented minority representation in technology and engineering," said McPhail. The ChiS&E provides highly engaging, age-appropriate, hands-on science, technology, engineering and math (STEM) activities for Chicago Public School (CPS) students in grades K-3 to K-12 and their parents. ChiS&E has been awarded a $450,000 grant from the W.K. Kellogg Foundation (WKKF) for its work in "developing and implementing transformative family engagement programs in the field of early childhood education." ChiS&E is one of 30 organizations out of 1,130 applicants, nationwide to be so honored; and one of only two organizations funded in the state of Illinois. The free programs take place in the spring and fall of each year, kicked off by an orientation session designed to familiarize parents and their children with the process for engineering programs. Parental participation is an essential component of the program. For more information, visit www.chiprep.org. Minority Report: How Are Non-White Workers Faring In Westchester? What is it like to be a minority in Westchester's business community? If you were to walk into any technology-driven enterprise in Westchester back in the 1970s, you would be hard-pressed to find one person of color among the ranks of engineers. That’s because minorities in the field of engineering were nearly nonexistent in Westchester 40 years ago—or anywhere in the US, according to Irving Pressley McPhail, EdD, of the National Action Council for Minorities in Engineering (NACME) in White Plains. As NACME’s CEO, McPhail is focused on increasing the number of statistically underrepresented minority students earning degrees in engineering (minority students defined as African Americans, Hispanic/Latino Americans, and Native Americans/Alaskans; interestingly, Asian Americans are not considered an underrepresented minority in science, technology, engineering, and math (STEM) fields). NACME does this by providing scholarship money to a network of elite universities that then recruit, enroll, retain, educate, and graduate these students. In 2013, the number of minorities entering the workforce with engineering credentials was an estimated 13.4 percent, according to McPhail. In spite of these gains, McPhail is concerned. “The problem is that underrepresented minority students make up a much larger percent of total population than 13.4 percent,” he says. Perhaps of even greater concern is the fact that African Americans are not keeping pace with other minority groups with respect to gains in engineering. In 2013, 9 percent of the total number of engineering degrees awarded to minorities went to Hispanic students, while 3.2 percent went to African Americans and 1.2 to Native Americans and Native Alaskans. Fannie Aleman, president of the Westchester Hispanic Chamber of Commerce in White Plains, says there’s a major cultural change happening within Westchester’s Hispanic business community. “We are evolving, remaining true to our roots, while still becoming part of mainstream America—breaking free of traditional thinking and becoming more strategic,” she says. Aleman suggests that the biggest challenges facing Hispanic and Latino business owners in Westchester are not actually unique to Latino-owned businesses. “The biggest challenges are associated with licensing and regulations because many small business owners don’t have the time to navigate confusing websites, paperwork, et cetera. But I think this is true for all small business owners—not just Latinos and not just minorities,” she says. Read more. Procter & Gamble Co. is bringing the underrepresentation of minorities in high-tech industries to the forefront of a national conversation. The Cincinnati-based consumer goods manufacturer (NYSE: PG) and the National Action Council for Minorities in Engineering (NACME) partnered to host a panel discussion on strategies to combat the underrepresentation of certain minority groups in science, technology, engineering and mathematics (STEM) fields on Wednesday. The discussion, held at P&G’s downtown headquarters, featured a panel of seven experts, two of them current or former P&G leaders, as well as keynote speaker and NACME president Dr. Irving McPhail. The conversation focused on a big problem facing corporate America: In a competitive global market where technology and innovation are key, the demand for STEM jobs is steadily rising, but supply is not keeping up. America needs students to choose STEM careers, and there is much untapped talent among black, Native American and Latino students who often do not have equal access to STEM-promoting programs. 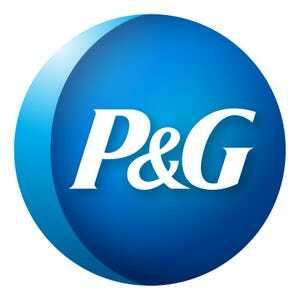 For P&G, recruiting a skilled and diverse workforce is paramount. P&G senior vice president of research and design William Gipson said in addition being a world leader in marketing and production, the company is a leader in innovation. “The reason we innovate is the breadth of the backgrounds of the scientists and engineers we work with,” Gipson said. This commitment to diversity is not reflected in the makeup of STEM jobs nationwide. Ninety percent of engineering positions in 2014 were held by white workers, according to McPhail. 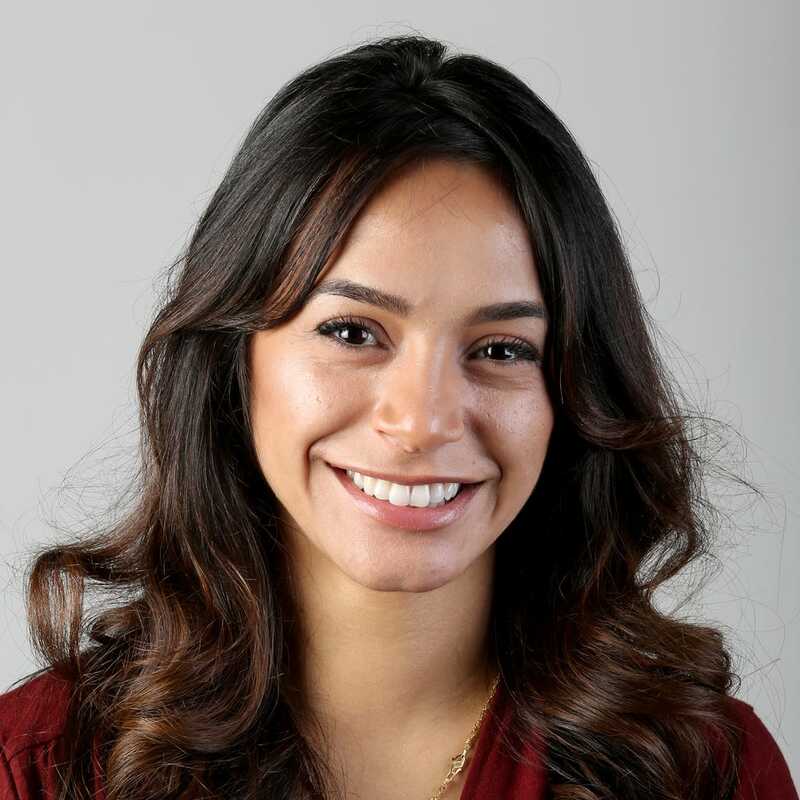 P&G vice president of research and design Lourdes Albacarys said although P&G aims to hire a workforce that is representative of a diverse consumer base, the number of black and Hispanic graduates for hire gets smaller every year. Meanwhile, STEM positions in the region are growing at twice the rate of other positions. Eighty percent of the region's jobs in the next 10 years will require math and science skills. To combat this problem, P&G invests in initiatives like the company’s Resident Scholar program that familiarize students with STEM career options and connect them with mentors. “The more we can demystify these careers for the students, the more powerful that connection (to STEM) is,” said Dr. Andrea Bowens-Jones, director of the Resident Scholar program and P&G research and design section head. Albacarys encouraged parents to get involved as well by enouraging their children to choose STEM-based electives instead of arts electives like choir. “If we don’t encourage them, they may choose the easier option and never see how much fun (STEM education) can be,” she said. Panelist Robert Setlock took a slightly different approach. Setlock is the director of Miami University’s Project High Flight, a program that allows students of diverse backgrounds to come together and think creatively about scientific problems. NJIT will confer honorary degrees upon Irving Pressley McPhail, Ed.D. and Charles Elachi, Ph.D. at the 99th Commencement exercises Tuesday, May 19, 2015, 9 a.m. at the Prudential Center in Newark. New Jersey Institute of Technology (NJIT) will confer honorary degrees upon two distinguished individuals at the 99th Commencement exercises Tuesday, May 19, 2015, 9 a.m. at the Prudential Center in Newark. Irving Pressley McPhail, Ed.D., president and chief executive officer of the National Action Council for Minorities in Engineering, Inc. (NACME) will deliver the commencement address and receive an honorary Doctor of Humane Letters. Charles Elachi, Ph.D, director of NASA’s Jet Propulsion Laboratory and a vice president at California Institute of Technology, will receive an honorary Doctor of Science. Dr. McPhail was named the sixth president and chief executive officer of NACME on September 1, 2009. He joined NACME in 2007 as executive vice president and chief operating officer. Prior to joining NACME, Dr. McPhail founded and served as principal of The McPhail Group LLC. He served 15 years as a college president or chancellor at The Community College of Baltimore County, St. Louis Community College at Florissant Valley, and LeMoyne-Owen College. Dr. McPhail also served as Chief Operating Officer of the Baltimore City Public Schools. He is the co-editor of “Teaching African American Learners to Read: Perspectives and Practices,” published by the International Reading Association in 2005, and the author of more than 50 journal articles, chapters, monographs, and technical reports. He earned a bachelor’s degree in development sociology from Cornell University, a master’s degree in reading from the Harvard Graduate School of Education., and a doctorate in reading/language arts from the University of Pennsylvania as a National Fellowships Fund Fellow. Dr. Elachi has been the director of NASA’s Jet Propulsion Laboratory (JPL) since May 2001. Prior to becoming director, he was JPL’s director for Space and Earth Science Programs beginning in 1982, where he was responsible for the development of numerous flight missions and instruments for Earth observation, planetary exploration and astrophysics. He has been a principal investigator on a number of NASA-sponsored studies and flight projects including the Shuttle Imaging Radar series, the Magellan Imaging Radar, and the Cassini Titan Radar. Dr. Elachi is the author of over 230 publications in the fields of active microwave remote sensing and electromagnetic theory, and he holds several patents in those fields. He received his B.Sc. (1968) in physics from University of Grenoble, France; the Dipl. Ing. (1968) in engineering from the Polytechnic Institute, Grenoble, and both a M.Sc. (1969) and Ph.D. (1971) degree in electrical sciences from the California Institute of Technology. He also has a M.Sc. (1983) degree in geology from the University of California, Los Angeles, and an MBA (1979) from the University of Southern California. For more information on NJIT’s 99th Commencement, visit the Commencement website:commencement.njit.edu/. One of the nation's leading public technological universities, New Jersey Institute of Technology (NJIT) is a top-tier research university that prepares students to become leaders in the technology-dependent economy of the 21st century. NJIT's multidisciplinary curriculum and computing-intensive approach to education provide technological proficiency, business acumen and leadership skills. With an enrollment of more than 10,000 graduate and undergraduate students, NJIT offers small-campus intimacy with the resources of a major public research university. NJIT is a global leader in such fields as solar research, nanotechnology, resilient design, tissue engineering, and cyber-security, in addition to others. NJIT ranks 5th among U.S. polytechnic universities in research expenditures, topping $110 million, and is among the top 1 percent of public colleges and universities in return on educational investment, according to PayScale.com. 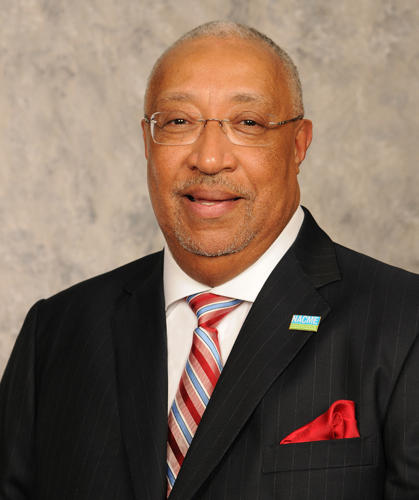 Irving Pressley McPhail, president and chief executive officer of the National Action Council for Minorities in Engineering Inc., is the 2015 commencement speaker for the College of Engineering. Engineering commencement for the class of 2015 will take place at 5 p.m. Saturday, May 9, in Barnhill Arena on the University of Arkansas campus. McPhail was named the sixth president and CEO of NACME in 2009, after joining the council in 2007 as executive vice president and chief operating officer. Under McPhail's presidency, NACME received the 2012 Claire Felbinger Award for Diversity from the Accreditation Board for Engineering and Technology. Prior to joining NACME, McPhail founded and served as principal of The McPhail Group LLC. He served 15 years as a college president or chancellor at The Community College of Baltimore County, St. Louis Community College at Florissant Valley, and LeMoyne-Owen College. McPhail also served as chief operating officer of the Baltimore City Public Schools. Under his leadership, The Community College of Baltimore County was named one of 12 Vanguard Learning Colleges in the U.S. and Canada in 2000 by the League for Innovation in the Community College, won the Bellwether Award in the category of Planning, Finance and Governance in 2000 and was awarded the PBS O'Banion Prize for Leading the Way to Change in Teaching and Learning in 2003. McPhail has held tenured full professorships at three colleges and universities and served as an affiliate or visiting professor at the University of Maryland at College Park, the University of Pennsylvania, and Morgan State University. He is the co-editor of "Teaching African American Learners to Read: Perspectives and Practices," published by the International Reading Association in 2005 and the author of more than 50 journal articles, chapters, monographs, and technical reports. McPhail serves on the board of directors of the Society of Manufacturing Engineers Education Foundation, the Alliance for Science & Technology Research in America, and the Accreditation Board for Engineering and Technology. McPhail earned a bachelor's degree in development sociology at Cornell University and a master's degree in reading at the Harvard Graduate School of Education. He earned a doctorate in reading and language arts at the University of Pennsylvania as a National Fellowships Fund Fellow and was awarded an Honorary Doctor of Engineering degree from the Polytechnic Institute of New York University in 2010. Find additional information about the College of Engineering commencement.